In March, the Association of State-owned Banks (Himbara) in Indonesia went online with a mobile wallet service called LinkAja that aims that offers an integrated e-payment scheme for the subscribers of Bank Mandiri, Bank Negara Indonesia (BNI), Bank Rakyat India (BRI), and Bank Tabungan Negara (BTN). Telco conglomerate Telco Indonesia and energy giant Pertamina are also part of the consortium that will launch LinkAja. Designed for mobile prepaid top-ups, point-of-sale (POS) payments online and offline, utility bill payments, public transportation payments and for money remittance, LinkAja represents a dedicated attempt by laggard lenders to dent the dominance of dominant wallets issued by third-party players such as Go-Pay from ride-hailing firm Go-Jek and OVO which is backed by Singapore's Grab. Fintech companies have driven significant inroads into Indonesia as they took advantage of gaps in the country’s financial infrastructure and low financial inclusion to grow their customer base. Only 49% of Indonesian adults are in possession of a formal bank account in 2017, data from the World Bank show. As of February, Indonesia hosts 36 licensed electronic money issuers. The market for e-wallets in the country hit $1.5b in 2018, according to a study by Indian research firm RedSeer, which expects this to swell to $25b by 2023. “The development of new use-cases for payment services has contributed to consumer uptake,” Fitch Solutions said in a report. “Whilst meaningful progress has been made in improving financial inclusion over the years, Indonesia still trails significantly, suggesting that there is a large untapped market for fintech companies to capitalise on." 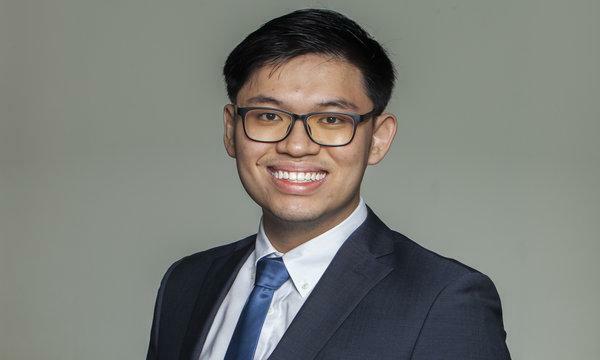 For Kenny Liew, telco analyst at Fitch Solutions, the alliance built through LinkAja could reduce cannibalisation between Telkom and the banks as they work together to jostle for greater market share against entrenched competitors. To achieve this goal, Liew expects LinkAja to turn to discounts and regular promotions. “Like many other companies within the mobile payments field, LinkAja will likely have to engage in a protracted price war with other payment providers to grow its customer base,” he explained. “However, LinkAja could struggle to build the traction that both Go-Pay and OVO have if it fails to increase the functionality and grow the ecosystem of its service," he added. Go-Pay built its user base by processing payments for Go-Jek’s ride-hailing platform. On the other hand, OVO managed to achieve its 60-million strong userbase by striking strategic partnerships including its collaboration with Grab and Indonesian commerce giant Tokopedia. OVO is also used to pay for parking fees in Lippo Group malls. Go-Pay dominates mobility services thanks to its full integration to Go-Jek’s ride-hailing app, which has seen about 150 million users based on app downloads. Meanwhile, OVO topped the study’s offline category due to its stronger focus on building a network of offline merchants, a strategy that LinkAja could also look into. “LinkAja will need to find more exclusive partnerships with large service providers to build further clout,” Liew said.